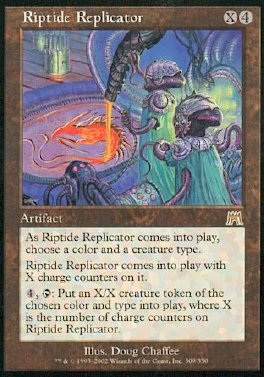 As Riptide Replicator comes into play, choose a color and a creature type. Riptide Replicator comes into play with X charge counters on it. 4, T Put an X/X creature token of the chosen color and type into play, where X is the number of charge counters on Riptide Replicator.